The opportunity to give these glass beads new life came with a challenge by Artbeads.com to combine some of their very cool Kabela Design brass components with something old that I already owned. Perfect! I ordered some raw brass items that I thought would be fun to use with the beautiful glass beads, and I was very pleased with the style and quality of the items I received. 1. 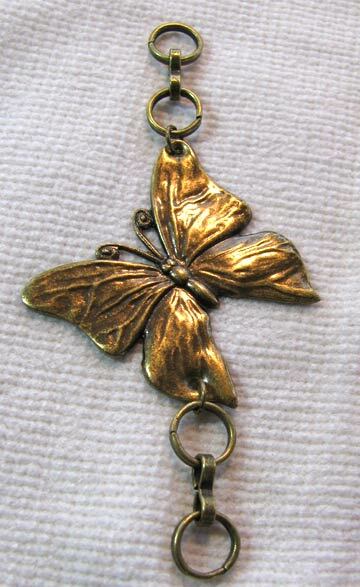 Drill holes in the brass butterfly pendant and use jump rings to attach it to short lengths of chain. 2. 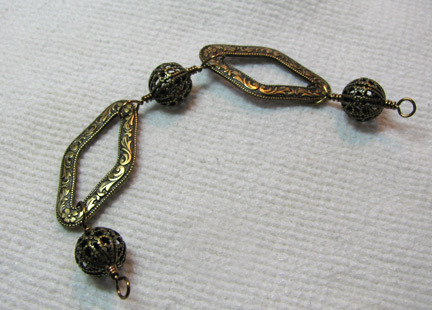 Use brass wire to create beaded links with the filigree beads. Form wrapped loops around the Deco links and at the ends. 3. 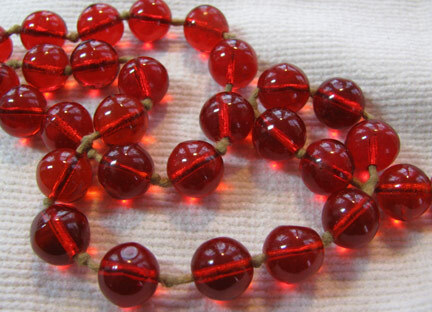 Cut apart a long knotted glass necklace. 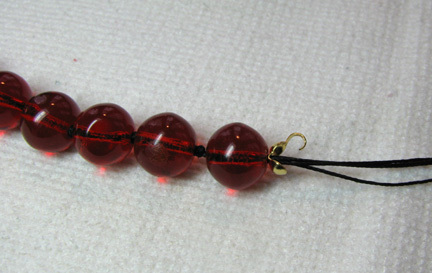 Re-knot into two strands with black silk thread (a longer one for the top, shorter for the bottom), adding a clamshell at each end. Glue the knots and allow to dry before closing the clamshell. 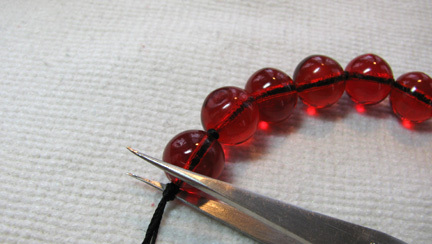 See instructions for silk thread knotting here. 4. Loop the clamshell tips over the ends of the two brass linked sections. As regards FTC disclosure guidelines: I have received Kabela brass components free of charge from Artbeads.com in order to create a project free of charge for you. I have not been paid for my endorsement as it pertains to the products received. wow- this is really gorgeous! Really inspiring! I love the red glass! 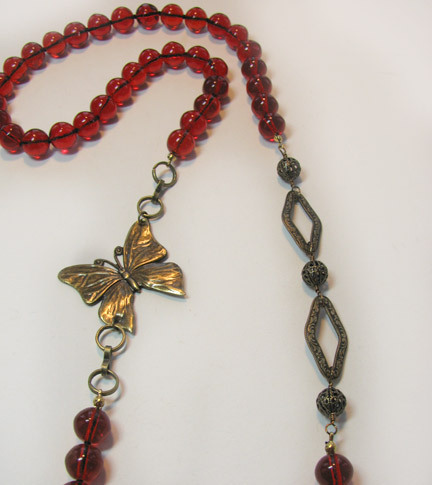 Lovely with the red beads and the copper butterfly and the asymmetrical mismatch adds more charm to the necklace. Thank you both :-) Sarah...wish wish wish I could find more! 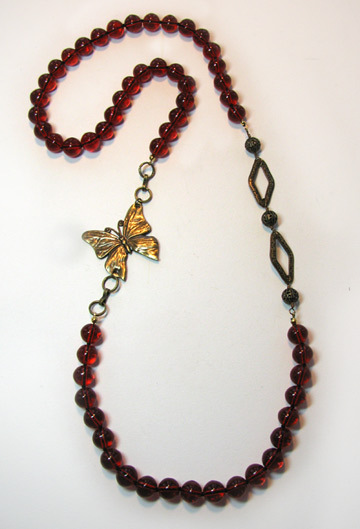 There is something about red beads that bring out the beauty of a necklace....and butterflies are my favorite.